In 2007/8 AMSAT-UK put considerable work into a proposal to the European Space Agency (ESA) to place an Amateur Radio payload on the mass dummy on the maiden flight of the VEGA launcher. 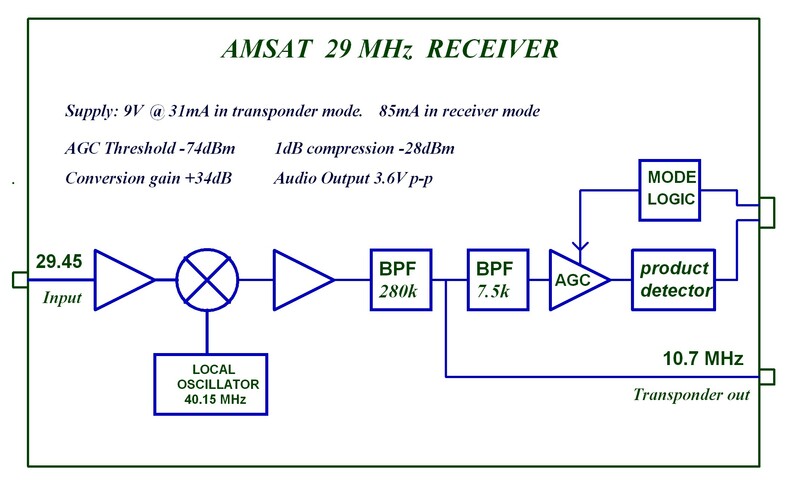 Known as iSTAR (Integrated Suite for Teaching and Amateur Radio) it was planned to use the 29, 145, 435, 2400 and 5830 MHz Amateur-satellite Service allocations. A “flatsat” version of the satellite was developed that incorporated transponders for 435/145 and 29/145 MHz. Unfortunately despite the excellent work of those involved ESA did not go ahead with project. 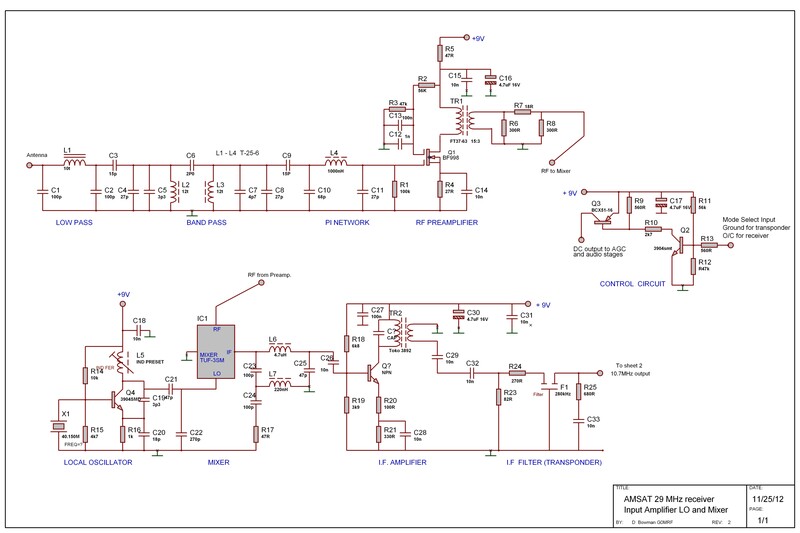 As part of this work David Bowman G0MRF developed a 29.45 MHz satellite receiver for use in a 29/145 MHz transponder. 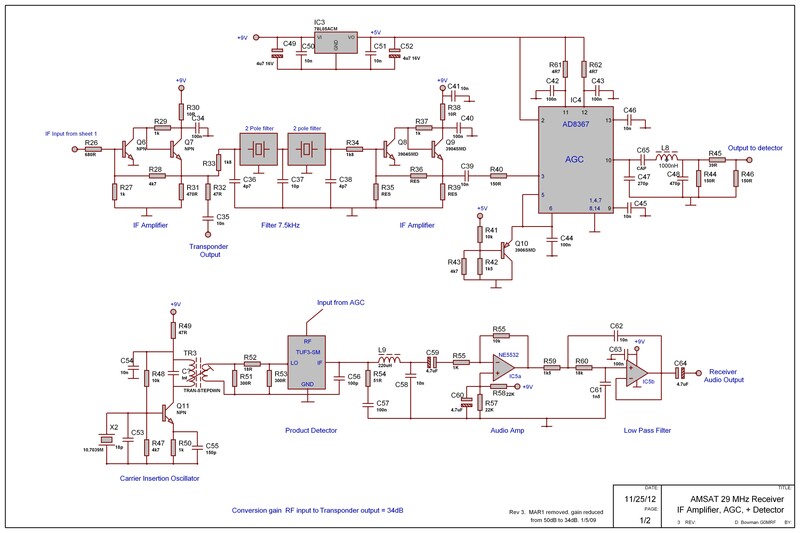 The concept of the board was that it should provide a 10.7 MHz output which could be used in a conventional linear transponder. In addition a ‘product detector’ demodulator could recover audio from many stations transmitting PSK signals (PSK31 or 63 or similar modes) on the uplink. Having decoded the signals to audio, this signal could be modulated as FM on a VHF or UHF transmitter. The intention is to provide many different simultaneous QSOs on a single FM downlink. 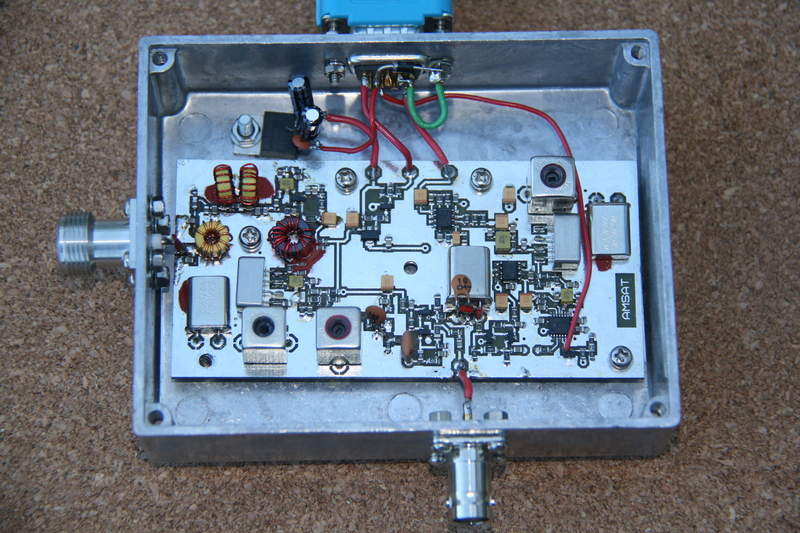 It was a prototype which gave us some hands on experience of 29.45 MHz. Should we get the opportunity to fly something like this in the future, the knowledge gained from this circuit would allow us to quickly produce flight hardware.